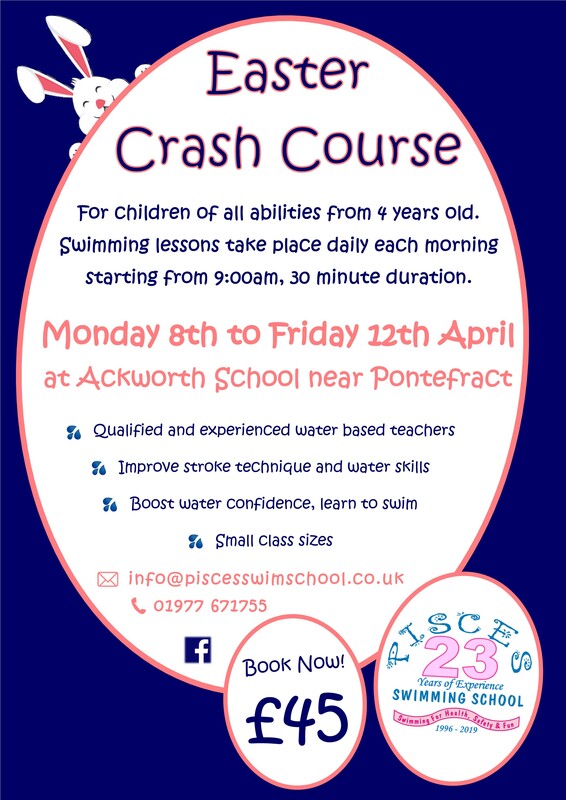 Our Crash Courses run at Ackworth School near Pontefract and Silcoates School in Wakefield. There are no Crash Courses running at Leeds Grammar School at present. Lessons are for 30 minutes each day. Course Fee £45 per week. Contact us by telephone or email us to check class availability. Provisional bookings must be confirmed with a £10 deposit. The remaining balance must be paid 4 weeks before the course start date. All courses are subject to pool availability and class viability.